In this article, I’m going to teach you how to use 5-HTP for opiate withdrawal. Many individuals have successfully used 5-HTP for opiate withdrawal depression, insomnia, anxiety, and other symptoms. Along with acute withdrawal, 5-HTP has also become a popular supplement to use while tapering off opiates, as well as for Post Acute Withdrawal Syndrome (PAWS). 5-Hydroxytryptophan (5-HTP) is a naturally occurring amino acid and chemical precursor in the biosynthesis of the neurotransmitters serotonin and melatonin from tryptophan. 5-HTP is a chemical by-product of the protein building block L-tryptophan. It is also produced commercially from the seeds of an African plant (Griffonia simplicifolia). 5-HTP works in the brain and central nervous system (CNS) by increasing the production of the chemical serotonin. Since 5-HTP increases the synthesis of serotonin, it is used for many conditions where serotonin is believed to play an important role. 5-HTP is sold as an over-the-counter dietary supplement in the US, Canada, and the UK for use as an antidepressant, appetite suppressant, and sleep aid. It is also marketed in many European countries for the indication of major depression under various trade names. Thus, using 5-HTP is an inexpensive and powerful way to increase serotonin quickly and naturally…and higher levels of serotonin can directly lead to feelings of being “emotionally relaxed” and content. Though I never used 5-HTP for opiate withdrawal, I did use the dietary supplement for a few weeks when I was 29 years old. I was living in upstate New York, it was the middle of winter, and the lack of sunshine was starting to affect my mood negatively. I lived in Southern California for 27 years before moving to New York, so I wasn’t used to going 30 days in a row without warm sunshine! Anyways, long story short, a friend of mine told me he was enjoying the benefits of supplementing with 5-HTP for his depression. I wasn’t depressed, but I was close to it, and I QUICKLY went to the store and bought the same brand and dosage of 5-HTP that he was using. The 5-HTP worked very well at boosting my serotonin and enhancing my mood. However, after a few weeks, I wasn’t receiving the same benefits, and it started to give me nausea (a common side effect). Luckily spring was just around the corner, and I made it out of winter just fine. If you’ve liked what you’ve read about 5-HTP so far, then you may be considering using 5-HTP for opiate withdrawal. If you’re looking for a natural supplement to reduce withdrawal symptoms such as anxiety, depression, pain, and insomnia, then 5-HTP might be able to help. However, 5-HTP reacts with certain medications, conditions, etc., so it’s very important that you are aware of the possible dangers of using 5-HTP for opiate withdrawal. Use a high-quality 5-HTP supplement. 5-HTP is best absorbed when taken on an empty stomach. Take low dosages of 100 mg during the day. At nighttime 30 minutes before bed take up to 300 mg to help induce sleep. Be mindful of any side-effects such as nausea, vomiting, etc. To get the maximum relief, take 5-HTP in combination with other powerful natural remedies for opiate withdrawal. Using 5-HTP for opiate withdrawal helps, but it only relieves a small portion of the symptoms. It doesn’t help with fatigue, gastrointestinal upset, sweating, hot and cold flashes, and nausea. Furthermore, it doesn’t replenish your brain with dopamine and endorphins…two important neurotransmitters that become severely deficient during opiate withdrawal. That’s why it’s important to use other natural supplements combined with 5-HTP. There is a SUPER POWERFUL Opiate Withdrawal Supplement that contains 5-HTP and many other beneficial nutrients for reducing opiate withdrawal symptoms. If I ever had to go through opiate withdrawal again, you can be sure that I would be ordering a 30-day supply of this stuff to ease my symptoms. If you have any questions on using 5-HTP for opiate withdrawal, please don’t hesitate to post them in the comment box below. Hi Matt, day 11 of no opiates. Very fatigued. My dlpa came in though so I now have all the supplements you suggested including calm support. Question, I have some 5htp but it scared me when I read side effects. Should I take this with everything else or just pass it up? Also have st. Johnswort. Also I want to stop the gabapentin completely but now am having some sleeping issues. Would it be ok to use the pregabin now? Thank you again for All the educated wisdom! Congrats Jackie! And the 5-HTP can help tremendously for the sleeping issues. You could take up to 300 mg an hour before bed. That typically helps sleep a lot. If you’re concerned about side effects, you could start off with the lowest dose you have and try that to see how you feel on it. You could also take some pregabalin but that is very similar to gabapentin, only much, much stronger. Some people in your situation just drop down to using gabapentin or pregabalin at night before bed at this phase, then start to lower their amounts by a taper over time. Matt, thank you so much for your blogs. The Wealth of inforMation has helped my loved one find some relief. However, he is still struggling w no sleep. He sleeps for a couple hours 3 tops and then is tossing and turning. Maybe 30 min naps when he can during the day. He is 3 weeks clean of suboxone. He used Kratom for 2 of those weeks and it helped w withdrawal but still the sleep was not right. He stopped the kratom BC Of side effects and the fear of addiction to it. He is now taking DLPA, melatonin, a good multi vitamin, b 12, vitamin d, Passion flower extract, and some restless leg all natural med a friend told him about. We’ve tried different combinations of all of these listed. Depression is the other enemy we are currently battling. It’s been the worst part of this battle. He was clean of all drugs for about 3 years. Until he went back to suboxone. Before that he was a full blown addict and did multiple drugs including methadone, heroin, and other pills. We’ve even tried lavender oil in a diffuser. Epsom salt bathes w lavender oil etc. it helps but nothing seems to really work. He’s ready to stop all vitamins Bc he doesn’t think they are helping. Please help me help him find a solution that works. We are trying CBD oil as soon as the order comes in. Can you recommend a formula please ? He works a full time job has joint custody of his kids and is trying to get his life on track. You are the only place that has been helpful. Please help us. We don’t want to buy things that aren’t helping. Matt, I would just like to thank you for taking your passion and sharing it with the world. You have helped me many times over. Its upsetting that some people (ahem Roxie) could give you any kind of grief when you are trying put the info out there for others that are suffering. Thanks for your sacrifices and please know you are helping so many people. Dont let the occasional Roxie discourage your immensely helpful path. Can my husband continue his L-Tyrosine and 5-HTP with the Calm Support? If it were me I would, so long as I wasn’t taking a medicine that has interactions. Matt, I detoxed from years of taking vicodin and ambien at the same time. Only took suboxone a few times and thought it was all over and done. I am now going through the worst I think it’s called paws. I ordered the DL Phenalilaline as well as calm support but I haven’t received it and I was so desperate that I went to gnc and bought a bottle of 5-htp of 200 mg. I took 1 1/2 per day and at first it helped me feel better but 2 days later I’m feeling worse than ever. Please let me know if I’m not,taking enough or any advice. Hi Olga, taking one or two supplements might not be enough to ease your opiate withdrawal symptoms in the manner that you are hoping for. Often times people will use a combination of many supplements, and perhaps medications as well. Disclaimer: This is for informational use only, and is not medical advice. Always consult with a doctor before trying any new supplements. Thanks for your reply. Since then I finally received my DL PHENALILALINE and also the Tulsa tea and the calm support. I take about 2000 mg of the phenalilaline per day and 1 calm support in the morning and 1 at night. Little better but still need something more. Please let me know what else would help in a way that would mske a difference or whether I can take more of the calm support instead of only 2 per day. Please I’m afraid to overdo it but I’m desperate. Thanks so much! I thought of asking my doc for a script of Tylenol 3 too ease off of these horrendous symptoms but that’s probably not a good idea because I think that’s also considered an opiate right? Matt Im so sorry, I was in the place of extreme anger at everyone, I am now on neurotin and the fls is gone im still sleeping 2-3 hours at night BUT i stopped the xanax. it has been over 30 days now but tonight was night one of no ultram 50 mg,and i did well, i feel better during the day, i have some energy , the vitamins and mierals are a life saver, again i am sorry!! I feel awful, that is not the person i am, but it wss the person i became on subs..
Have you ever heard of Kratom for opiate withdrawals? And if you have what is your opinion? Really trying to get off opiates, trying to figure out the best ways to make it as comfortable as possible! Thank you! Most herbs and supplements have not been thoroughly tested for interactions with other herbs, supplements, drugs, or foods. (<<<Yeah this doesn't bother me )The interactions listed below are based on reports in scientific publications, laboratory experiments, or traditional use. You should always read product labels. If you have a medical condition, or are taking other drugs, herbs, or supplements, you should speak with a qualified healthcare provider before starting a new therapy. 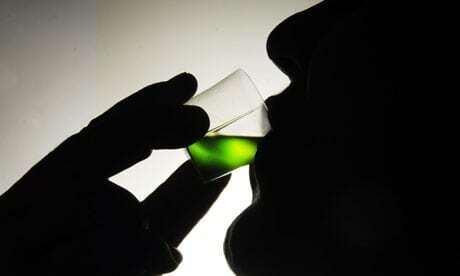 *5-HTP may increase the amount of drowsiness caused by some drugs. Examples include benzodiazepines such as lorazepam (Ativan®) or diazepam (Valium®), barbiturates such as phenobarbital, narcotics such as codeine, some antidepressants, and alcohol. Caution is advised while driving or operating machinery. *5-HTP may interact with angiotensin-converting enzyme receptor blockers (ARBs), antianxiety agents (such as buspirone and trazodone), anticancer agents, antidepressants (including monoamine oxidase inhibitors [MAOIs] such as L-deprenyl, selective serotonin reuptake inhibitors [SSRIs], serotonin and norepinephrine reuptake inhibitors [SNRIs] such as venlafaxine, tetracyclics such as mirtazapine, or tricyclics [TCAs]), anti-inflammatories, antiobesity agents (such as phentermine), antiseizure agents, antipsychotic agents (such as haloperidol), barbiturates (such as pentobarbital), benzodiazepines, benzylpiperazine, cannabinoids (such as tetrahydrocannabinol), cholesterol-lowering agents, CNS depressants, decarboxylase inhibitors (such as carbidopa and benserazide), diltiazem, drugs that lower seizure threshold, growth hormones, hormonal agents, lithium carbonate, losartan, methamphetamine, metoclopramide, painkillers, sedatives, serotonin receptor antagonists (such as methysergide, nefazodone, cyproheptadine, and ritanserin), or thyroid hormones. *5-HTP may interact with Alpinia zerumbet, antianxiety agents (such as St. John's wort), anticancer agents, antidepressants (including monoamine oxidase inhibitors [MAOIs] and selective serotonin reuptake inhibitors [SSRIs]), anti-inflammatories, antiobesity agents, antioxidants, antiseizure agents, antipsychotics, cannabinoids, cholesterol-lowering agents, chromium, herbs that lower the seizure threshold, hormonal herbs and supplements, jujubosides from Ziziphus jujuba Mill. var. spinosa (Bunge) Hu ex H.F.Chow,* L-tyrosine, magnesium, melatonin, niacin, painkillers, protein, SAMe, sedatives, serotonin receptor antagonists, spinosin, theanine, thyroid herbs and supplements, tryptophan, tryptophan-containing foods, or vitamin B6. are you doing this just for the money? im sure your blog makes some because not all of these can be the best!! Are you kidding me? I do this because I am PASSIONATE about opiate addiction recovery. And also, it costs me over $400 to run this website, not to mention I put hours upon hours upon hours into writing articles, researching and testing supplements, creating online courses, etc. Affiliate marketing helps offset these costs and the huge amount of time I put into it. And I only recommend products I have either personally used and have benefited from, or products I have done much research on that appear very high-quality and have a lot of really good reviews. funny,ive qsk3d a lot of questions and this is the only one you choose to answer! I bought the lipo C for 80 dollars not 400 but then the emidrol you recommend is 150 dollars, so i buy this updates Vitamin C, only to find when i go back to check the dosage you have taken it off because how it doesn’t work? I might be the only one writing to you, but I Have a lot of people who if I screw this up will never attempt to get off of the suboxone, people i love,I realize you’re not a dr, but please don’t take offense when you promote a specific treatment say its the best, them take it down claiming now it doesn’t work!! I am taking CVS 5-HTP, I am not taking the emidrol, I came here to find what other drug I am supposed to take with it to be effective ? I certainly do appreciate this information, but when i read calm ease and emidrol and then Kratom , mega dose vit C, then thomas recipe ARE all fantastic and work fantastically,then you take one back, I am a human who wonders okay 1 was he addicted all these times taking each one, no, he says that 2, why wouldn’t he try the high dose C not ascorbate, and follow up instead of listening to one man, and saying it makes sense then saying well no it doesn’t work for suboxone or methadone users. 3 kratom gets you high doesn’t that defeat the purpose of us tapering off, which took me a year, and i have no DR to ask most of us don’t. So I am extremely sorry if i hurt your sensibilities, but I am fighting for my life!!! Aso while i doubt this will stay up, I like to read, people on lot of your pages are begging for answers just an FYI, i realize now it cost to 400 dollars and more in time and energy, and as addicts were not exactly a giving lot while were addicted but put up a paypal and ask for donations you may be surprised!! I do thank you for all the info, It has been 16 days off of subs and the fog is starting to lift, Thanks to the tapering i did and thanks to the recipe you posted!! I took a few days to revamp the vitamin C article as my daughter is on Xmas vacation. The liposomal Vitamin C and new info is up if you go back to that article. I agree with you, brother. Most folks have no idea how and why a blog even comes into existence – For many of us, it started with a PASSION to help or fix or make the world better. And then we pay a ton of money and dump a lot of our time into its creation. And it lives and breathes as an extension of us. And maintaining a blog… that’s just so demanding and fulfilling too. Great job, I say. Thanks for your contribution to humanity. you can manipulate your qi. in other words, what do you want? qi is breath . what do you want to do? keep on keekin on? get on with it then. want to stop? listen to your heart. what does it say? M.r. Finich has all these suggestions. i will chime in to. what do you want? forget about all the suggestions. what do you want?